He hosts panel show Mock the Week, and has been involved in similar programmes including Have I Got News for You and QI. O’Briain has also toured the UK and Ireland widely, taken the Edinburgh Festival by storm and rowed up the Thames in a TV recreation of the novel Three Men in a Boat. Here are some of his funny quotes. To Chico: What’s the time? Chico: It’s Chico time! Dara: Really? I make it 20 minutes past Chico time. When a big wind sweeps across America, there isn’t a building left standing: the southern states must have been built by the first two little piggies. 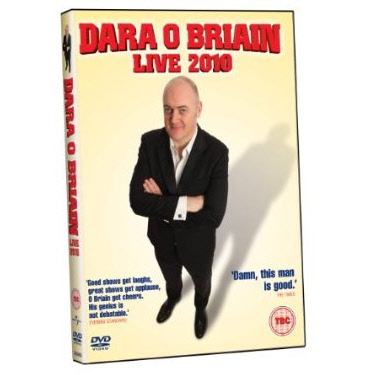 O’Briain tours extensively across Ireland and the UK during the rest of the year, including nine dates at the Hammersmith Apollo in September. His first book, Tickling the English, is out now.